PNY Quadro FX 380 PCIe x16 videokaart kopen? | That's IT! Professionele volledige hoogte PCI-Express videokaart. Nieuw, OEM in antistatische verpakking geleverd compleet met benodigde accessoires. 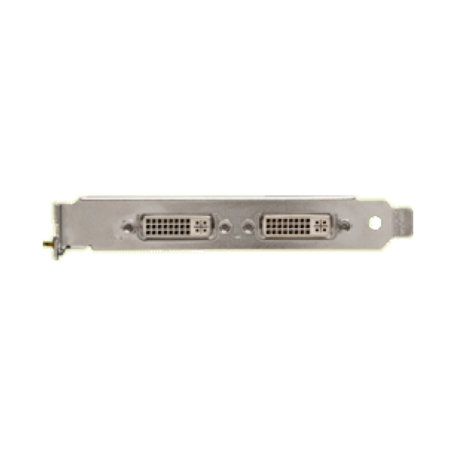 Designed for regular systems, the NVIDIA Quadro FX 380 by PNY professional graphics board meets stringent performance and reliability requirements, is ideal for 2D professional business applications in multi-monitor environments and is certified for leading 3D CAD and DCC applications…plus it’s extremely affordable. Featuring NVIDIA’s innovative CUDA™ architecture with 16 parallel processing cores, the Quadro FX 380 delivers high performance on applications such as AutoCAD® (10X) or 3ds Max® (2X) when compared to consumer cards*. 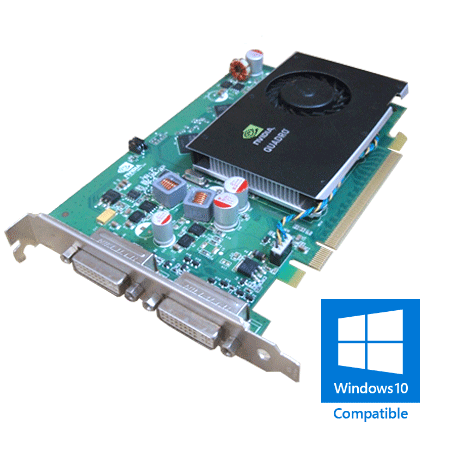 Offering a generous 512MB GDDR3 frame buffer, the Quadro FX 380 is also ideal for DCC applications such as Photoshop® and other web or multimedia authoring applications. The Quadro FX 380 is Microsoft® Windows 7 ready and capable of displaying the full Windows Aero user interface. Shader Model 4.1 enables next generation ultra-realistic, real-time OpenGL and DirectX 10 applications. The Quadro FX 380 supports ultra-high-resolution panels (up to 2560 x 1600 @ 60 Hz) delivering amazing image quality, making it perfect for highly detailed and photorealistic images. In addition, Quadro FX 380 is EnergyStar compliant, with an ultra-low, 28 Watt power consumption rating. This power-efficient member of the Quadro family enables designers, animators, architects and engineers to create and interact with more complex designs, increase visual quality, and maximize productivity.